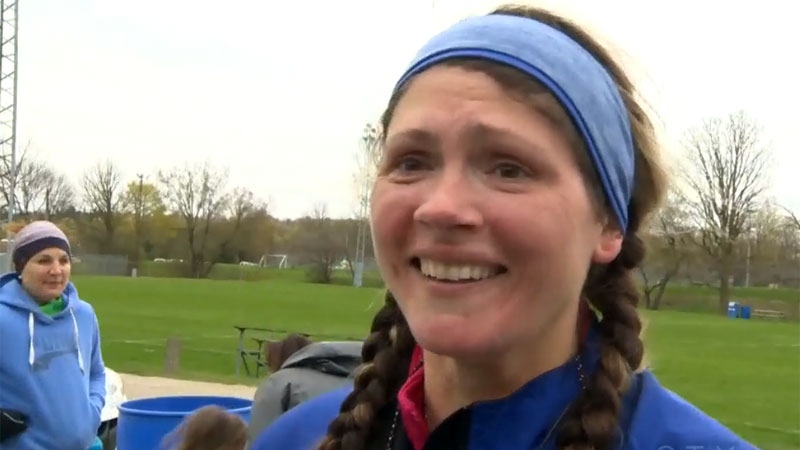 At a race event where celebrated Canadian runner Ed Whitlock broke several senior records, a local mother was able to break a record of her own. The Waterloo Marathon and Half Marathon was held this weekend, with this year’s half-marathon portion of the race renamed in honour of Whitlock, who ran the race several times. Whitlock, from nearby Milton, Ont. died earlier this year. 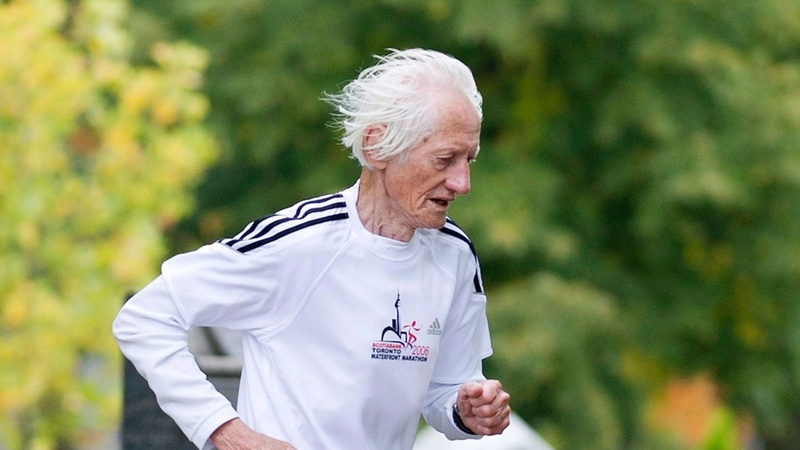 Just last year, at the age of 85, he finished the half-marathon in just over one hour and 50 minutes, setting a new world record for his age group. Whitlock broke 36 world records over his running career, including becoming the only man over 70 to run a full marathon in under three hours. Race organizer Tony Lea says Whitlock was an inspiration. “He was so successful and so revered in the running community. A fantastic human being,” Lea told CTV Kitchener Sunday. This year, a new record was broken at the Waterloo race. Local mother Jenn Weatherall set a Guinness World Record for the most children pushed in a stroller during a half-marathon. She pushed two double strollers with two kids in each over the course of three hours and 25 minutes. Weatherall, 42, says she aimed to set the record to show her kids that anything is possible if you work hard enough for it. But she admitted at the finish line it was a tough achievement. “It was the last 10 kilometres that both shoulders were so sore I couldn't move them anymore. So that hurt,” she said. But the kids inside the strollers seemed to enjoy the ride, she added. “They all had things to do and things to colour and treats inside. No one complained and they all slept for the last hour so it was perfect,” she said. Four hundred and ten other runners completed the full and half marathons this year, battling through cold temperatures and 55-km/h winds – conditions that many runners admitted they were not expecting. “It was tough. It was windy. 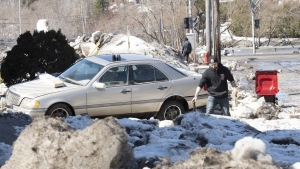 On university avenue, I just about couldn’t get through it,” said participant Cathy Lumb. For Weatherall, the race was worth it for the rewards at the end. “There’s a bath waiting and then there’s some champagne waiting,” she said with a smile. Waterloo runner Jenn Weatherall set a new world record at the Waterloo Half-Marathon.